The flavor is strong but versatile. 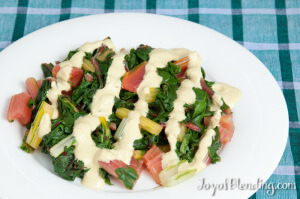 I’ve enjoyed this dressing on steamed vegetables, while in her cookbook, Ann Gentry suggests putting it on a lettuce salad along with garbanzo beans, grated beets, and sunflower seeds. 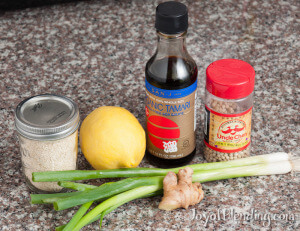 If you don’t have tamari and white pepper, regular soy sauce and black pepper will work. 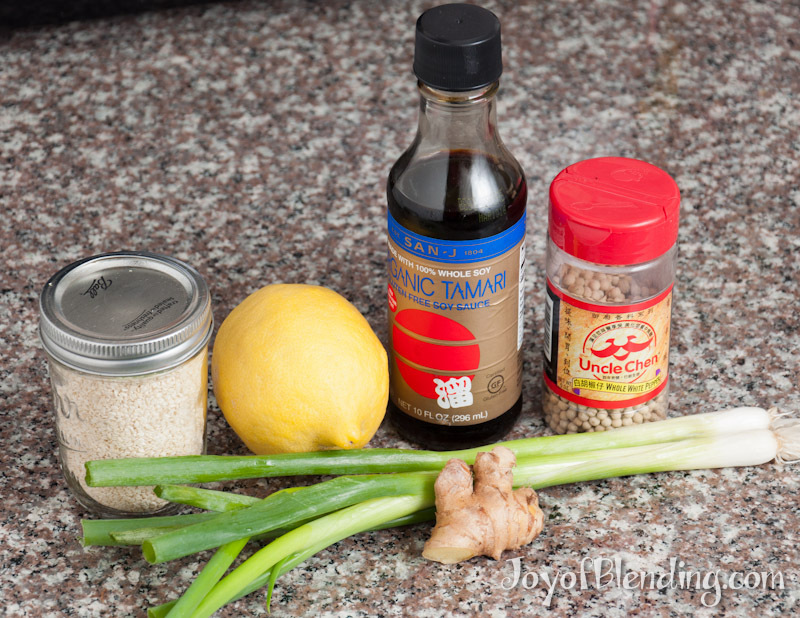 Ginger can vary considerably in strength, and it can also be tough to judge quantities, so I recommend starting with about half of the ginger, and then adding more if your sauce does not have enough kick. I think strong flavor is good here, but the first time I made this the ginger was a bit overbearing. You can always add more ginger, but you can’t take it out! I also like to slice the ginger into ~1/8″ slices perpendicular to its length because if it is fibrous and you don’t slice it up, long fibers sometimes survive blending. 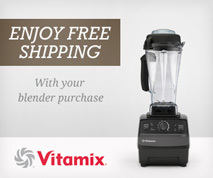 Add the ingredients to blender and blend on high until smooth, ~45 seconds for a Vitamix. The picture at top of this post is of rainbow chard. To prepare it like this, slice the thick stalks from the leaves. Remove the very bottom of the stalk if it looks beat-up, but the entire stalk is perfectly good to eat. Coarsely chop the stalks and leaves. Steam the stalks for 4 minutes, then add the greens and steam for an additional 3–4 minutes. Serve with the ginger sesame dressing and enjoy! I made this with a lemon straight off of our lemon tree, and it came out not as sour as I thought it should be. I suspected that the acidity of lemons varies, but I was curious by how much. I found an interesting post discussing the acidity of lemons in the context of preserving foods. I learned that acidity can vary from 4.5–7.4% for common varieties (not including the less acidic Meyer lemon.) More importantly, I also learned that lemons become nearly 25% more acidic as they “cure” in the weeks of storage after harvest.